Our club, The Route 100 Snow Travelers is a snowmobile club based out of Rochester, Vermont. 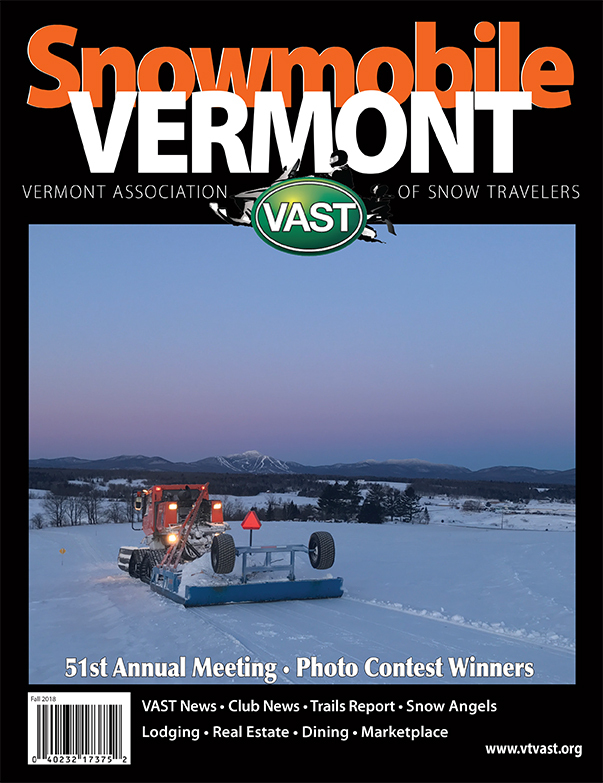 It is comprised of all volunteer members and has the task of maintaining over 50 miles of the VAST (Vermont Association of Snow Travelers) trails in the Rochester, Hancock and Granville area. Maintenance is a year-round necessity and includes, but is not limited to, grooming, debrushing of trails, bridge construction, and clean-up of damage caused by storms. The network of trails that we maintain is essential for the state-wide network and offer a safe and terrific recreational experience for both Vermonters and out of state visitors, as well as help to bring revenue to local businesses. Club members volunteer many hours of their time each week to keep these trails in good condition in addition to planning and executing fund raisers to maintain equipment and pay expenses. Eighty percent of Vermont's trail system is on private land. We thank the land owners for the use of their land in the winter months and all of you for supporting our club by being members and/or by coming out to our events.